This work recasts canonical dance since the early 19th century in terms of a feminist perspective. Setting the creation of specific dances in socio-political and cultural contexts, it shows that choreographers have created representations of women that are shaped by - and that in part shape - society's continuing debates about sexuality and female identity. The book provides a series of re-readings of the canon, from Romantic ballet and Russian ballet to modern ballet and modern dance. It examines the icon status of "dancing divas" from Marie Taglioni, Isadora Duncan and Josephine Baker to Madonna and investigates women's images in genres of dance such as vaudeville and burlesque, the musical, exhibition ballroom dancing, and music videos. Using an interpretive strategy different from that of other feminist dance historians, who have stressed either victimization or celebration of women, the author uncovers a complex range of cultural representations of gender identities. 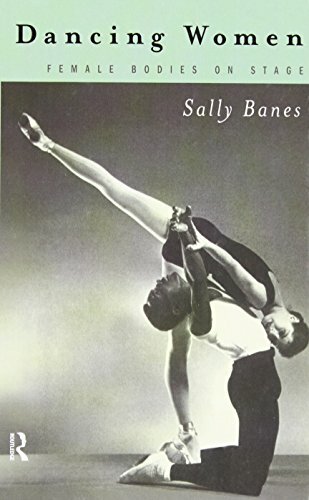 "Banes, an internationally known dance historian and critic, has written an extraordinary, fresh interpretation of dance history from a feminist perspective. . . . [S]he suggests new ways of seeing the female dancer. . . . Banes supports her work with in-depth, well-documented evidence, but she retains a reader-friendly style. An excellent addition to collections serving upper-division undergraduates through professionals, this book will have an audience that extends beyond scholars of dance." "Banes...grounds her sophisticated critical reflections in the material realities of dance production, performance, and audience reception. In the process, she offers what is a rarity in any field: an inquiry that sustains itself over the course of an eminently readable book." "Is the sort of narrative that draws one on in fascinated pursuit of the author's guiding thread as it snakes through more than a century of danceperformance...Banes' is the sort of book that makes me want to sit down with the author and argue a bit, I disagree with this, find that misleading, note an error here, want to pursue a question there. In other words, it's provocative. And a remarkable achievement." "After Banes, ballerina brides and modern dance witches will never seem the same. Neither victim nor vamp but a little of everything in between, the mainstream dancing woman, thanks to Banes, recovers some of a real woman's complexity." ..."and impressive attempt to recast western dance history since the early 19th century from a feminist perspective, Banes's assiduously researched and often imaginativetext is aimed primarily at fellow academics and dance practitioners, but even the uninitiated, who only occasionally attend a dance performance, may find the book entertaining and intellectually stimulating."